Avaleht » What is a kayak ? A kayak is a small and narrow boat that is mostly used with human force with a paddle with two blades. The paddle is well adapted for the sea – it’s fast, easily steerable with the paddle, light and tipping over isn’t dangerous. A traditional kayak has one covered deck and one or several cockpit openings. Every seat is in a separate cockpit and a spray skirt is used to cover the opening, which stops the water from getting into the cockpit. Thanks to the spray skirt, Eskimo rolls are also possible. The first kayaks were made by hunters, who used them on lakes, rivers, and waters in the coasts of seas and oceans. Kayaks were originally made from different animal skins – of wood and on the skeleton of a whale. The age of the kayak is thought to be close to 4000 years. 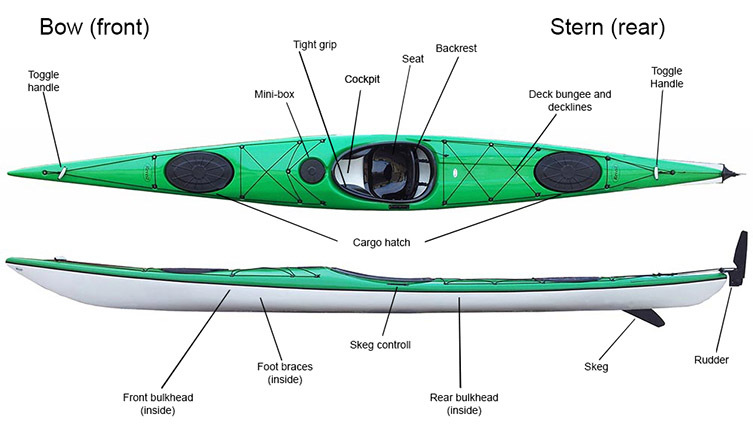 The most important property of kayaks was the noiseless and unnoticed movement during hunting. The other important quality was good sea solidity. Of course, after successful hunting, the kayak had to fit any prey that was caught or at least some of it. There was no uniform type of kayak – different areas had different weather conditions, traditions, prey and distances. Today, kayaks are more used as leisure and sports equipment all over the world.